It’s that time of the year. Our malls light up with colourful classic Christmas décor; jingle bells chime in the background, while Michael Bublé and Boney M tracks make you sing, almost involuntarily. 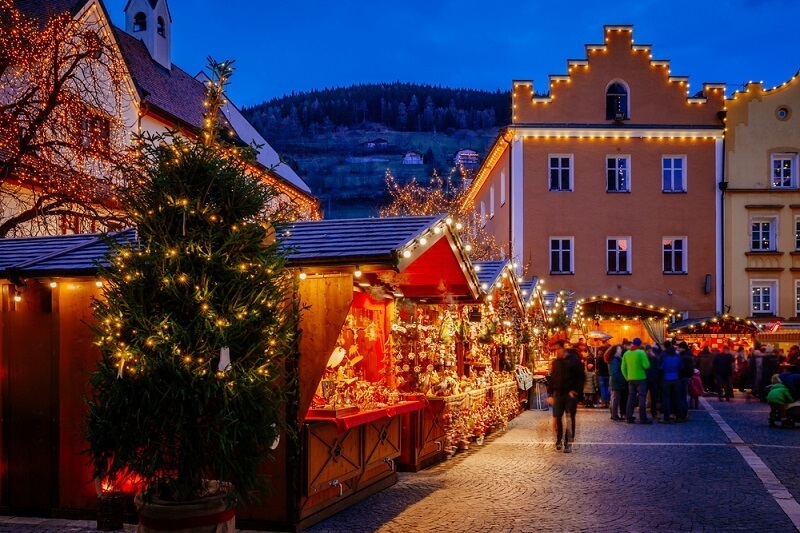 But if you are heading to Europe these holidays, you may catch yourself humming to the tunes and grinning at the Christmas lights just a little more enthusiastically than usual. The excitement of travel and prospect of gathering new experiences and memories will do that to you. 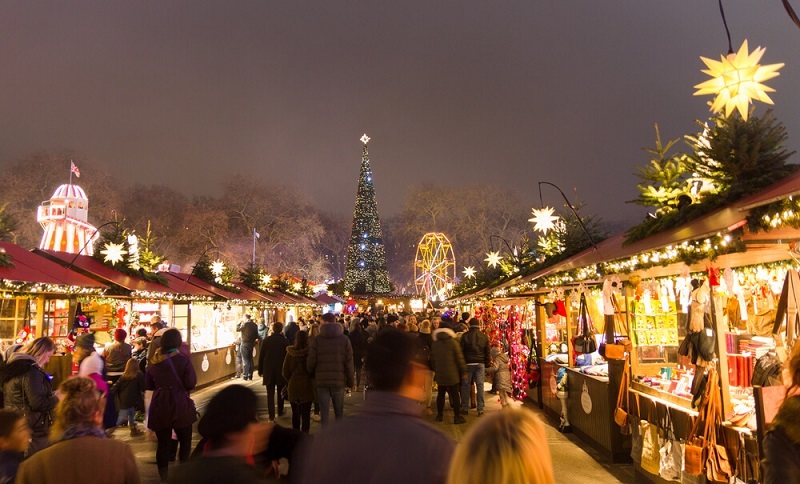 If you are travelling to Europe before Christmas, you may want to whip out your iPad or tablet and start looking at visiting Christmas Markets near your destination. 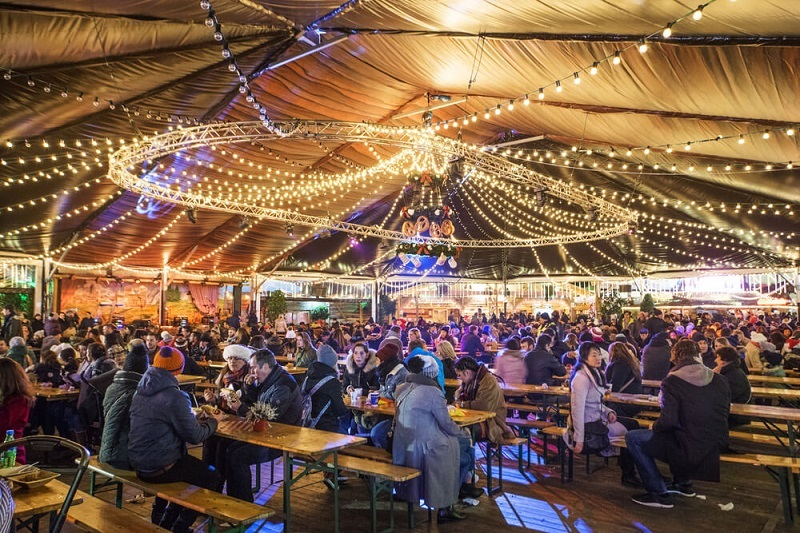 You have to make time to experience a proper, traditional European Christmas Market. 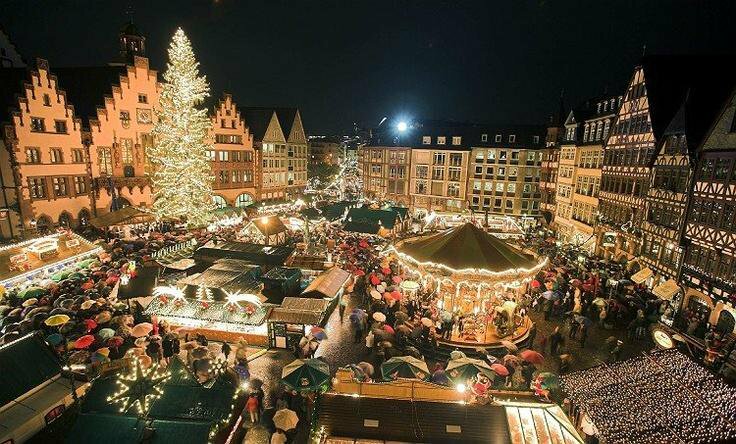 Here are our top 5 traditional must-visit Christmas Markets in Europe. 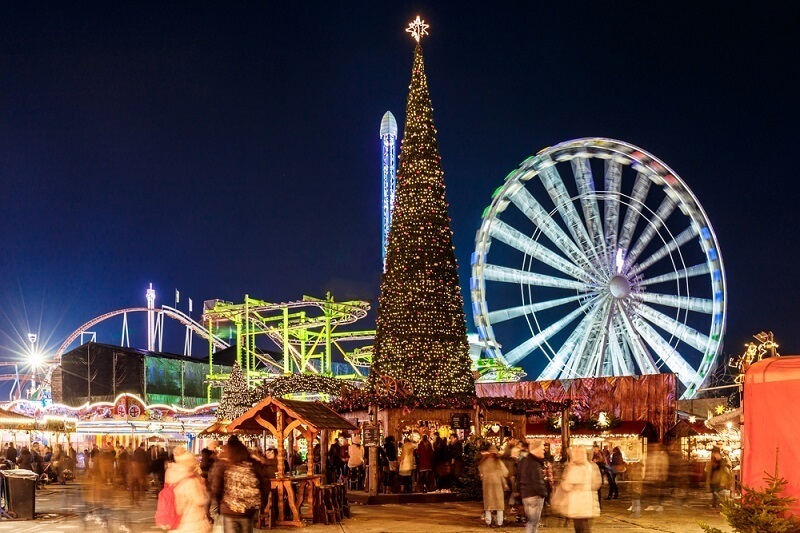 If you find yourself in the UK over Christmas, and you are within close travelling distance to London then don’t miss the Winter Wonderland. Simply look out for the lights all the way to Hyde Park and discover the transformed park dressed up to the nines as a wonderland. You will need at least a day to explore over 200 wooden cabins filled to the brim with gifts and homemade crafts. Immerse yourself in the winter experience and take on the ice rink or see the world from above in the Giant Observation Eye open from Saturday, 24 November until Sunday, 6 January 2019 (from 10am to 10pm). The lights, products, festivities and magical atmosphere won’t disappoint! Discover more Winter Wonderland highlights here. Although you won’t be guaranteed snowfall on Christmas morning, you will still be blown away by France’s exquisite cuisine, rich culture and history, wines, museums, architecture, cobbled streets, farms and mountains. The French Christmas kicks off on 5 December with St Nicholas Eve, where presents are exchanged during the day and at night kids leave their shoes out in the hope that they will be filled with gifts by Pere Noel. There will be a market around the corner no matter where you stay, but the oldest market in France is at the top of our list. 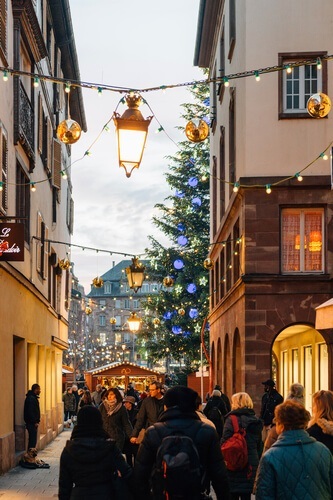 Known as Christkindelsmärik, this Strasbourg Christmas Market dates back to 1577, when they sold provisions the day or two before Christmas. With 11 “Christkindelsmärikactual” or small markets spread out in Strasbourg, this yearly event draws tourist from all over the world, with Christmas lights as far as the eyes can see, a giant ice rink and at the heart of the market the “Great Christmas Tree.” From over 300 half-timbered houses you can buy Christmas decor, regional foods, traditional Christmas cookies and spicy hot orange juice. The market starts on the 24th of November and ends on the 24th of December from 9:00am to 10:00pm. 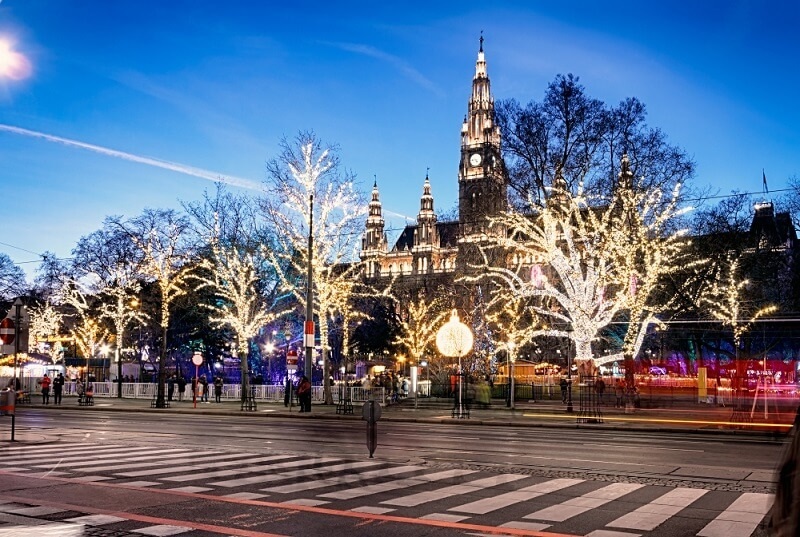 Think festivity…think Christmas lights, German crafted Christmas decorations, gingerbread cookies and marching bands…all in the beautiful setting of München. Here you will find the heart of the many Christmas markets that Germany is famous for. In fact, München’s Christmas Markets date back to the 14th Century, with the Nicholas Market near Fraunkirche in 1642. The Bavarian tradition has been acknowledged ever since. München has over 20 Christmas markets and one of them is sure to tickle your fancy. 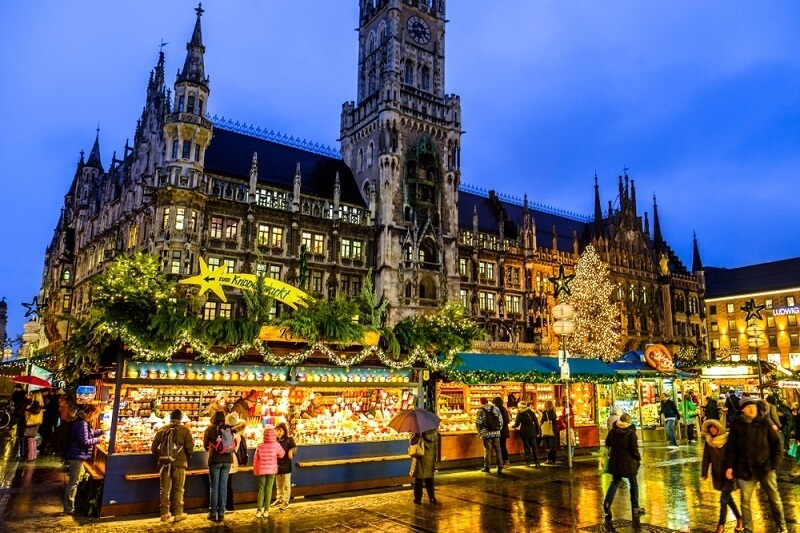 First off, the Marien Platz Market is probably your most traditional Christmas Market. At Marien Platz you will find the classics – gingerbread in all shapes and sizes, Glühwein (mulled wine) and crafts. Arriving here you will feel Christmas instantly! The market runs from the 27th of November to the 24th of December. Don’t miss the live performances of Advent music every evening at 5:30pm from the Town Hall Balcony. 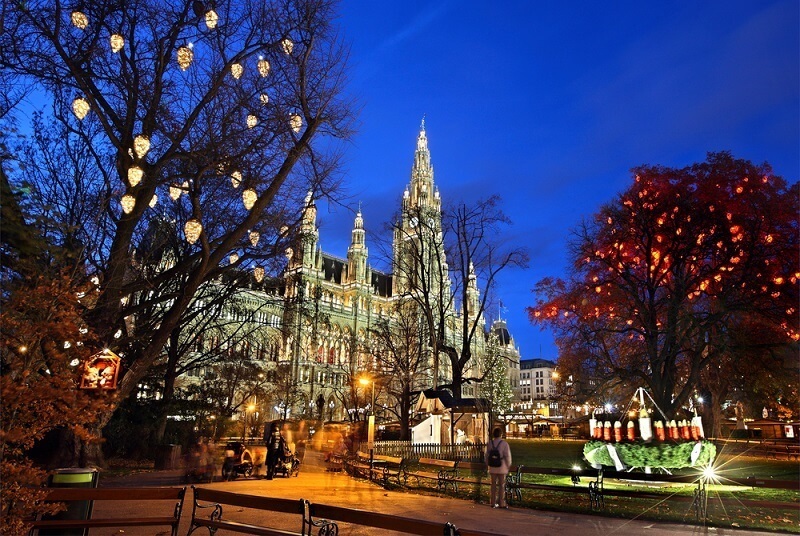 Christmas markets in Vienna date back to 1298! There are plenty of markets to choose from, but the biggest market is the Rathausplatz. 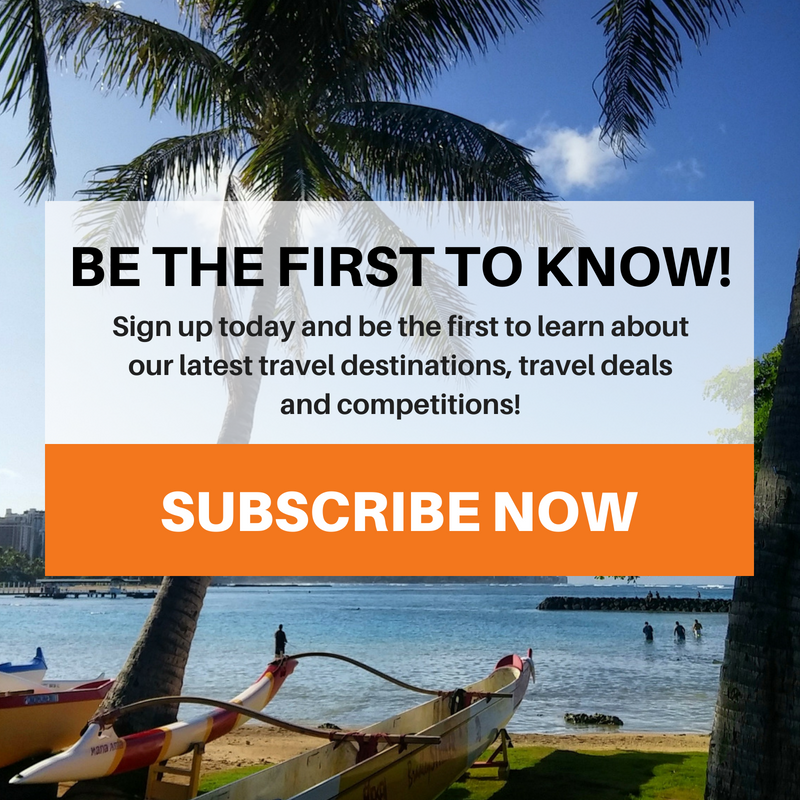 While many travellers prefer smaller, less mainstream markets, this one will most likely impress each and every visitor. With its origins dating back to the late 18th century, this market as grown over the last three centuries, without losing its traditional charm. Each, shop and be merry with traditional roast chestnut stalls, pastries and pretzels to spare. Christmas decorations, handcrafted from glass or wood, and arts and crafts that showcase the talents of both local and international artisans. And yes, you will not be disappointed – at the centre of this market is the enormous Rathaus Christmas Tree. The market opens as early as 16 November and ends on the 26th of December. Open to about 9:30pm on most nights, and a little later over weekends. 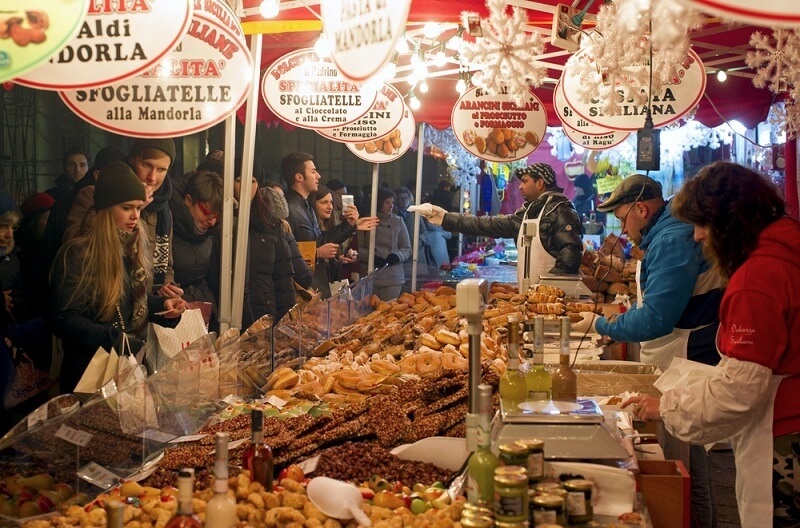 Italy carries on the Christmas Market cheer with its Italian charm. With strong influences from the German markets, this Christmas market in Florence is located in Piazza Santa Croce. Set in the most beautiful squares of Florence, the magnificent Gothic Franciscan church is the backdrop. Filled with artworks of some of history’s greatest artists, along with the tombs of Michelangelo and Galileo Galilei, the church sets the tone for this traditional Christmas Market. A UNESCO World Heritage Site, the Piazza Santa Croce offers an unforgettable experience in itself. With Christmas comes wooden chalets filled with a variety of arts, crafts, foods all set up in with Christmas lights and ornaments. You will find various nativity scenes sharing the Christmas story. And with over 50 exhibitors set up for the market, you are sure to find that perfect Christmas gift! Continuing the magic of the market, there is a beautiful carousel in the centre to make sure the kids stay entertained. This market runs from the 28th of November to the 20th of December and is open from 10:00 am to 10:00 pm daily. With plenty of markets to choose from across Europe, you won’t be disappointed, wherever you go. But these five markets are sure to wow you and add to your festive cheer. All that’s left to do is unwind, enjoy and be sure to bring back a Christmassy souvenir. Enjoy this magical time of the year!